101inc Airsoft Division is, just like Fosco industries, a brand of Van Os Imports B.V. The largest Dutch importer of outdoor and military products. In 2010, airsoft became increasingly popular and at Van Os, the market leader in airsoft products, the idea arose to set up a special line with airsoft products. 101 Incorporated was born. 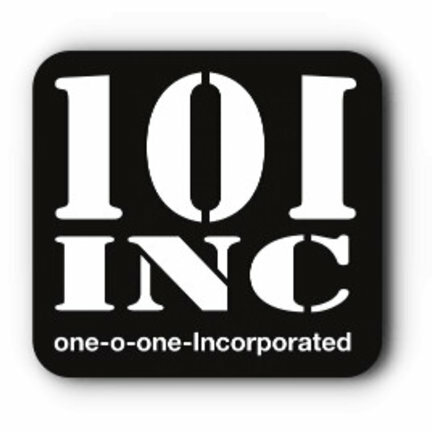 In 2013 this was abbreviated to 101INC. 101INC has become the airsoft brand of the Netherlands and perhaps Europe. At 101INC they understand that airsoft is top sport and that you have to be able to rely on your gear. 101INC now has an extensive range and we at Prepz.nl also sell various 101INC products. Because we focus on preppers and people who want to live more self-sufficient, we do not have all 101INC products in our range. Are you looking for something from 101INC and is it not on our website? Send us a message. We always give the lowest price guarantee on 101INC products and have a one-week delivery period for non-stocked products. This Woodland colored camel bag of 100% cotton is ideal for a long walk. Because of the back cushions, the camel bag has excellent wearing comfort and the extra compartments also offer extra storage space for small items. The 27cm 101inc Survival Knife B is the perfect tool to carry when you go camping, trekking, boating, or other outdoor activities. It is sturdy, sharp, and easy to carry. This 101inc Survival Knife A is a hardened steel knife made for survival. The paracord wrapped around the blade is comfortable in the hand and can be loosened. If you want to be able to make fire easily while outdoors, you need to have the 101inc Tinderpack. It comes with 8 tinder that is packaged per piece. It is highly flammable and it burns for 3 minutes. The 101inc Survival Knife B is a unique design and feels comfortable in the hand. It includes a parachute cord which has multiple uses. You can use it when making a shelter or attaching things together. This 101inc knife is one of the more affordable knives from our collection. This survival knife is made from hardened steel and the quality is surprisingly great. In short: A good knife at an affordable price.